On February 15, Vietnamese Ambassador Pham Thi Ngoc Bich came to present her credentials to Estonian President Kersti Kaljulaid in Tallin City. During the reception for the Vietnamese Ambassador, President Kersti Kaljulaid congratulated Vietnam for impressive achievements in the country's construction and development process and showed her delight at new progresses in the traditional relationship between Vietnam and Estonia. 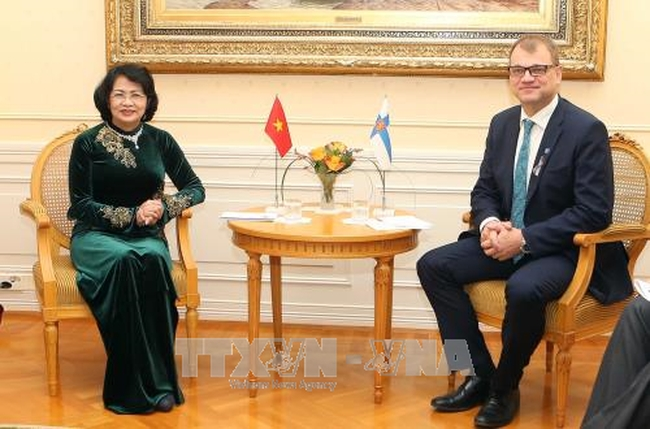 The Estonian President has affirmed that her country always wants to further promote cooperation with Vietnam, especially in the fields of education, health care, biotechnology, and farm produce and foodstuff exports. She emphasised that Estonia is one of the world’s leading countries in terms of technological application in Statement management and daily life, and Estonian private companies are willing to partner with Vietnam in the field. Ambassador Pham Ngoc Bich conveyed State President Tran Dai Quang’s congratulations to Kersti Kaljulaid on her election success last October and became the first female President of Estonia in history. 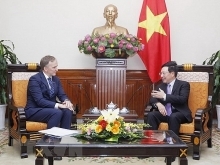 Ambassador Pham Ngoc Bich thanked Estonian president and the European coutry for their good sentiment towards Vietnam. 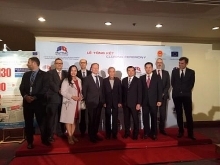 She spoke highly of Estonia’s development in different areas, especially in information technology and e-government, and expected that Estonia would share experience with Vietnam in these fields. The ambassador vowed to do her best to strengthen mutual understanding and growing bilateral ties during her tenure.